Vision development. | reports. thoughts. What does home mean and where is it for you? I have been thinking about this questions for a long time and wanted to write about it but didn’t really know where to start. Recently I watched a great TED talk by Pico Iyer (click here to watch it) which inspired me to finally put my thoughts down on a virtual piece of paper. When people ask me where I am from, I naturally say Germany. I definitely am German in many ways. An always punctual, beer enjoying, hard working, sometimes too much complaining, straight forward German. Over the course of the last 6 years though, I have lived on 4 continents, in 6 countries and 10 cities. The main language of communication in my daily life has been English for quite a while now (amazing that I’m still struggling with some every day words…). I currently live and spend most of my time with Americans, British and Bhutanese and only visit Germany 2-3 times a year. So if you would define home as where you currently live, no Germany is not my home. Pico Iyer also defines home as where you want to live or spend most of your time. That currently certainly is Bhutan, but can and most likely will change within the next 12 months. The more I think about it, the more tricky the “home-question” gets. Many people ask me whether I miss home and how I can possibly stand living in a remote village in Bhutan so far away from all my friends and my family. Frankly speaking, yes, I do miss my friends and my family. I do miss having a glass (or a bottle) of wine at the Main in Frankfurt, cooking and chatting sessions with my college friends in Dortmund or enjoying quality time with my sister in the east of Germany. Is living in Bhutan worth it? It is, 100%. I have the most interesting and challenging job imaginable, work with some of the brightest people I have met in my life, and get the chance to deep dive into a completely different culture, learning more about myself than I thought I could in such a short time. The saying goes “home is where your heart is”. I agree, maybe in a different way though. I think, home is where you are, where you find enjoyment and where you want to be. Therefore for me, home is currently in Bhutan, Germany and the UK; more specific, in Lingmethang, Thimphu, Frankfurt, London, Kierspe, Kleinhelmsdorf (now you even learn about German villages here), Leipzig and some other places. Soon, home will also be Seoul (go Fabi !!). In short, home is fluid for me. It constantly changes and evolves and I very much like it that way – for now. Will it always be like this? I don’t know, and I don’t want to know right now, after all it’s all part of the journey. Many of you had to make this (or a similar) decision: shall I spend my money on a new phone, or shall I save it for my next backpacking / road trip? Intuitively people would probably say something materialistic makes you happier because you can keep it for much longer, using it hopefully for a couple of months or years. Research indicates differently though: Cornell University Psychology Professor Dr. Tom Gilovich has conducted several studies on the topic. They all come to the same conclusion. “In two surveys, respondents from various demographic groups indicated that experiential purchases—those made with the primary intention of acquiring a life experience—made them happier than material purchases. In a follow-up laboratory experiment, participants experienced more positive feelings after pondering an experiential purchase than after pondering a material purchase” (To do or to have? That is the Question). These findings also go hand in hand with the findings that were compiled in the Easterling Paradox, which states that money does buy happiness but only to a certain point. While these studies all mark a different point for this phenomena (between US$ 60,000 and US$ 100,000) they all come to the same conclusion. The participants in Gilovich’s study indicated, that experience were the better financial investment, made them happier and even contributed more to happiness in their life. If you think about it – these findings do make a lot of sense. Whereas the new phone, car or TV will quickly become a normal part of your everyday life, participating in a cooking class, hiking a mountain with friends or exploring a forgotten village surrounded by curious kids are experiences you can live off for the following weeks, months and years. No matter what the scientific research indicates, in the end it comes down to where you think your investment has the higher return and what mix of experience and possession is right for you. For myself I can say I think I’m leaning more and more towards experience, trying to buy only items I really need (although occasionally I end up buying an overpriced phone) and investing my money in traveling to new places. Have you ever heard of the “Bonding Molecule” Oxycotin? It is a “hormone directly linked to human bonding and increasing trust and loyalty” (Psychology Today). To put it simple, this hormone helps to make you feel happy when you spend time with other people you’re close with; cuddle with your dog; even just work out with a buddy. Other studies have shown that volunteering makes you significantly happier and “donating […] as little as $5 on others has emotional benefits” (CNN). But what does this all have to do with Bhutan or other places I have lived in? In Bhutan, I see these small acts of kindness every day. Some examples: even in Thimphu, the “big metropolis” in Bhutan (it actually doesn’t even have 100,000 inhabitants), people usually share a taxi. That doesn’t refer to people knowing each other – i’m talking about strangers here. You just hop on a taxi, start chatting, might have to take a small detour – but in the end safe money and also protect the environment (a penny saved is a penny earned). Another example: as many of you probably know we had a huge bush fire very close to Lingmethang (LMT – the town in Eastern Bhutan where I currently live) the other day. Most of our houses and our nursery were not directly threatened as the fire was on the other side of the street where much less houses are located, but nobody hesitated to start protecting other people’s premises. So we were fighting for other people’s existence, probably not risking our lives but at least getting in a dangerous situation without thinking twice. One last example from my time in Rwanda: every last Saturday of the month people gather in their suburbs and clean the streets, together. You won’t see any cars on the streets during the bed time and most people do take this community service quite serious. Nelson Mandela called this human kindness “Ubuntu”. You should watch this great TED talk if you’re interested in how the concept changed a man’s perception of life. Why am I writing about this? Firstly, I want to encourage people to take some more time to do something good for others, may it a small donation (preferably to a social venture instead of a charity – see this previous blog post for reasons), community service, the traditional helping the granny with the grocery shopping or anything else that will help to improve another person’s life just a tiny little bit. Being honest, I mainly want to encourage myself to do these kind of things more often – my work already relates to this but doing something good next to work won’t hurt my karma as well I assume! Inspired by my dear friend Tanja (find her blog on Thoughtsabout.life) I finally “took” the time to write another blog post after several months of silence. GNH – Gross National Happiness – is the concept that made Bhutan famous in the world (or at least parts of it). But what does GNH actually mean and what are practical implications? Regarding His Majesty the Fifth Druk Gyalpo Jigme Khesar Namgyel Wangchuk “the essence of the philosophy of Gross National Happiness is the peace and the happiness of our people and the security and sovereignty of the nation” (GNH.com). For me GNH is an alternative way on how to approach growth within a small landlocked country like Bhutan. Introduced by the His Majesty the Fourth Gyalpo in 1972 as an alternative to GDP and as Bhutan’s principal KPI of progress. From my perspective, GNH has greatly helped to bring slow but very sustainable growth to Bhutan. Due to space constraints I will only be looking at a few factors. Comparing Bhutan’s ranking in the transparency international “perceived corruption” index with the rankings for India and China shows that Bhutan (30/175 – 75% Percentile) ranks far ahead of its two neighbours (85/175 – 36% and 100/175 – 33% respectively) (Transparency International). Life expectancy is slightly higher than in India but lower than in China (BT: 66.53 years; IN: 64.78; CN: 73.06); the same goes for literacy rates and infant mortality (all worldbank data). Naturally, there will be indicators that will show Bhutan is growing slower than comparable countries in certain areas. But the above indicators show that at least in some areas the country grows at a similar pace. More importantly, GNH has some practical implications in the everyday life that make living here very comfortable. Unlike any other country in the world, Bhutan has declared that 60% of its land shall be maintained under forest cover for all time. Walking around freely in a without having to fear anything at all is a privilege not many people experience in the developing world. Following ideas like a complete carbon neutral country and a fleet of electric taxis in the capital Thimphu are other practical implications of GNH. Obviously, Bhutan has a long way to go, and things are far from perfect. There are several issues the country needs to tackle and new challenges will arise with growing wealth and population. Nevertheless, GNH is a different approach to growth that should be considered by other countries throughout the developed and developing world. And maybe considering a more sustainable and long-term oriented approach to development isn’t such a bad idea for individuals after all. #2 If you don’t like dogs, don’t come to Bhutan – they are everywhere. #4 If you don’t like chilli, don’t come to Bhutan. Same goes with cheese… too bad for me! #5 The Prime Minister drives a Tesla. They also started an initiative to substitute all normal taxis with e-cars. Working for a social business is more or less not that much different than working for a ‘normal’ one. You have the similar departments – Sales, HR and Finance, Accounting, Business Development, Marketing, Production, QC, IT etc. as well as the CEO who’s in charge for the strategy – and more or less the same goal: being profitable and creating constant growth. Social enterprises though follow a double/tripple bottom line approach; i.e. on the one hand a great performance from an economical point of view, but on the other hand also creating social and/or environmental impact. By definition social impact is “the change or effect created by a social venture, which in effect can either directly or indirectly change or transform a social system. The resulting change is driven by the combination of inputs, activities, processes of a mission driven organization, and may be positive and/or negative effects on a social system” (Mair and Sharma in “Social Entrepreneurship and Social Business: An Introduction and Discussion with Case Studies”). Working for such a business in a third world country as Rwanda teaches you several things; firstly, how difficult it is to create a profitable business in an environment that is characterized by low incomes and high unemployment rates and hence a low buying power for your products and services. Secondly, that creating social impact is the one thing, measuring this impact a whole different story. And thirdly, that the concept of social enterprises is nevertheless the better option compared to NGOs and charities. People here – and I therefore guess in other third world countries all over the world – do not want to live from the donations of the West. They want to create their own businesses, increase wealth with their own hands and build something sustainable. Obviously I am stereotyping. The “lazy ones” do not only exist in our world. Nevertheless, the majority is willing to work hard for their financial and economical success. Side note: contracts in both – Bhutan and Rwanda – are based on a 45h week. Considering these facts I have to come to the following conclusion: charities and NGOs – despite being the number one in third world aid for the past decades – are not the best available charitable option. Two additional reasons to the above-mentioned: their huge waste of money for administrative costs and occasional scandals. The concept of social enterprises is not only more efficient as well as effective but also more sustainable; it already gives and hopefully will give an increasing number of people worldwide the opportunity to improve their lives self-sufficiently. 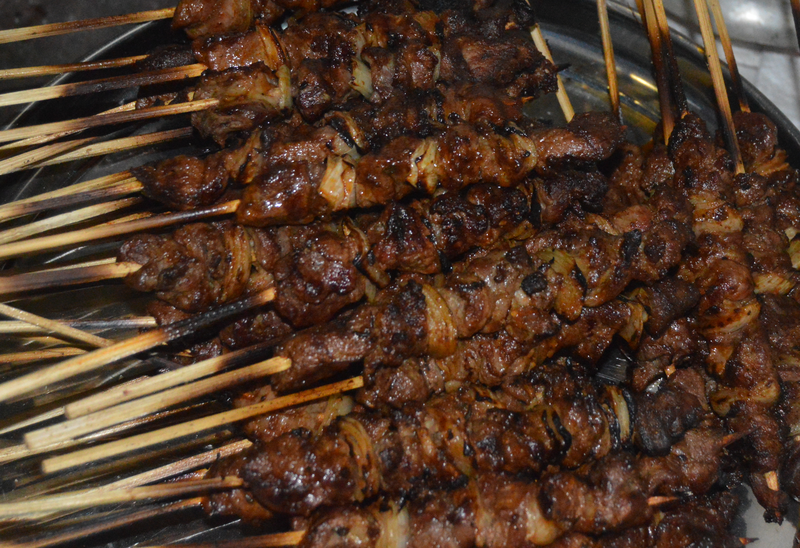 I am back in KGL for almost a month now and have to admit – I am starting to feel at home here. Life is still characterised by a lot of work and good weather, tennis, beers and more and more fancy cooking. Currently, I spend most of my time writing on my Thesis to finally finish my studies and move on with a degree. I already had to recognise that writing a thesis – even on an from my POV very interesing topic (“how to measure social impact: a case study on a feasible implementation at the social business kigali farms”) – is a lot less fun and more hard work than I always thought it would be. Other than that I am working on my own business(es) – let’s see how this is gonna work out. Anyhow – business before pleasure! But pleasure is gonna be huuuuuge! Firstly, it’s gonna be 3 days Istanbul from Feb 28, celebrating Fabian’s birthday and the good side of life. After that I’ll fly right away to Bangkok, meeting Fritz and Alex, over to Jakarta, meeting Christoph and down to Bali just to meet my gold old friend Surya (indonesian guy I used to share a flat with in Munich). From there back to Germany, seeing friends and fam, off to Barca, meeting Martin and others, back to Germany and back to Kigali for another year! Hell yeah! Btw – since I decided on staying for a whole year: visitors highly welcome. Rwanda is a beautiful country with lovely landscape and has a lot to offer (e.g. national parks, gorillas etc.) – being more or less close to Sansibar is one but not the only great thing here! My time in Rwanda was flying in the last couple of weeks and I’ll already leave in less than two days from new. I had an absolutely great time and will certainly be back – flights are already booked for another 8 weeks here from 6-January onwards. After that I’ll finally see the, as far as I heard most beautiful city in Europe – Istanbul, just to leave Turkey straight to Thailand, finally having the chance to see good old Friedrich again (and his girlfriend Alex as well!). Already looking so much forward to that!! But first things first, a short report on what I did in the last couple of weeks. Last saturday we went to a brew party and I can describe it in exactly one word: awesome! Brewed original belgian beers, drank a lot of them (obviously not the one we brewed this saturday) and made a couple new friends from the States. Other than that we also had a big management meeting in our house, which I organized, plus dinner (mushrooms, mushrooms, mushrooms!!) and drinks afterwards on friday evening. I had the chance to present my entire work and also listen to five other presentations. It was a great event and I think the whole team enjoyed being together and getting more insights in each other’s work. This week will be more or less “just“ implementing all the new processes, explaining them to the team and individuals and trying to make sure things will be used during my time back home. 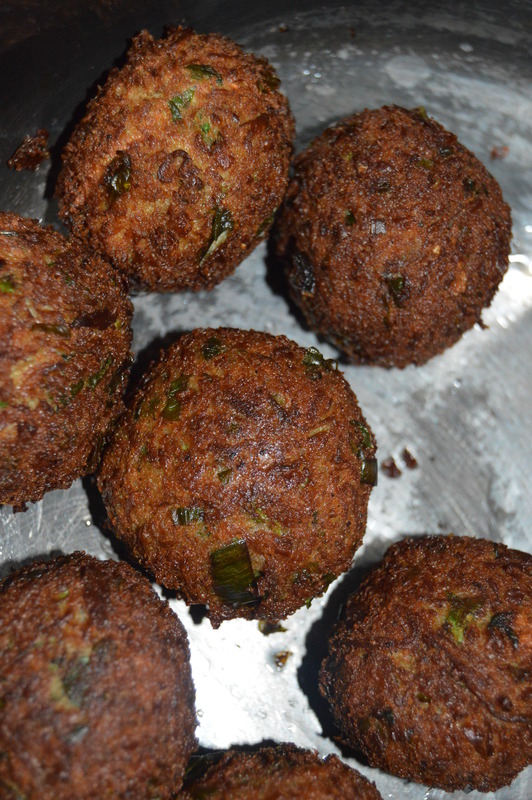 As promised in my last post here are some pictures of Rwandan food: you can see Mushroom Samosa (more or less like fried dumplings), mushroom boulettes as well as brouchette (quite the same as german “Schaschlik“ but with goat meat). That’s it for today – I am looking forward to a hot shower and some propper german bread in Germany but even more for my return in January! Thanks Rwanda for a couple of great first weeks here – I’ll be back…soon! Halftime in Rwanda. I’m here for 3.5 weeks now and will only stay another 3 weeks and 2 days – as usually if one stays abroad time’s flying. I really enjoy my life and time here – it is a great experience and I am more than happy that I decided to come here. Since a lot of people lately asked, what I actually do for Kigali Farms, today I want to talk about what my current tasks and objectives for my time in Rwanda are. I am working more or less as a Consultant COO (that’s how my boss calls it at least) focussing on controlling, reporting, processes and several other things. I’m basically optimizing, designing, developing and implementing various reports to the management team and our CEO. This includes a lot of work with excel, which may sound a little boring, but actually is quite fascinating and interesting work. I also conducted a lot of interviews with everyone in our management team, to see which things are currently running well and to identify areas, where improvement is needed. After those interviews Laurent and I agreed on a bunch of deliverables for my first stay here and I am currently trying to keep the pace high to reach all of them till November 29. This includes working from early in the morning till late in the evening (I’m pretty much all the time the first one to come and last one to leave in our office) and a lot of stuff on the weekends as well – does sound a little crazy, but is actually great fun since work is very rewarding. It’s a great feeling to hear stuff like ‘You’re making our work so much easier’ or ‘it’s so good to have you here’ and really see the change your own work creates. I guess that’s the reason why many people – including myself – appreciate working in a start-up. Additionally to the projects mentioned above, I am currently also trying to measure the social impact of Kigali Farms, i.e. how do people profit in which way from our products and services. Therefore, I also deal with questions like ‘How do we quantify the increase in health of people?’ Taking into account that this will be the topic of my thesis, this part of my work is obviously the most interesting as well as the most challenging. It is difficult to develop KPIs if you’re not even sure if it will be possible to measure them in the end – but I’ll try my best to find a way to implement all important measures in the end. Many people also requested some more photos so here I have a couple of those as well! I’ll also have an extra post on food and driving here in Rwanda since I think both parts are quite interesting and especially different to Europe and will try to upload a gallery with more pictures, as soon as I find a place with proper internet. Simplicity of life and the genocide. This is going to be a more thoughtful post mainly about two things: Rwandan people and how they get along with almost nothing (for European standards) and the genocide, since I went to the Genocide Memorial yesterday. I find it quite impressive to see how people manage their life with almost no money. Take our guard Jeremy for instance. This guy is earning less than 10€ per week, working more or less 24/7, since he has a small “house” (maybe 8sqm) next to our gate. But still he is one of the funniest, happiest guys I ever met, always smiling, always friendly. Even though we’re not able to communicate properly since he does not speak any English or French, we’re having a good time together. In the evening when I’m back from work we just sit at our terrace listening to some decent Jamie Cullum or Jack Johnson. It’s hard to believe that Jeremy – having a wife and two kids – is so much happier than most of the people in Western countries who complain about every little 1st world problem. 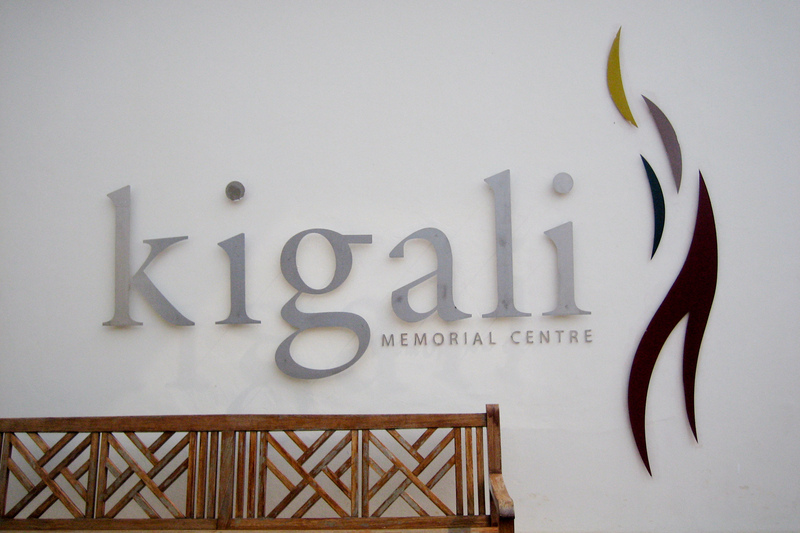 Yesterday I went to the Kigali Memorial Centre which opened in 2003 and serves to inform people about the horrible actions of the Genocide in 1994 and their consequences up until today. I reckon everybody who has been visiting a “Konzentrationslager” may more or less understand the atmosphere in a memorial like this. As I didn’t know much more about the Genocide then the information you get out of the movie “Hotel Rwanda” and the Wikipedia article getting to know more was even more impressive. As learned in uni I don’t want to leave the reader with these horrible thoughts. The visit had – next to getting educated about Rwandan history – also another good thing: I got to know two cool dutch guys with whom I spent my day watching football (stupid Barca… ) and who I also invited to our house party on Saturday evening, which was a hit!